Sosé Thomassian was born on September 10, 1982 to Emma Dermardirossian and Varand Thomassian in Newport Beach, California. Two years later, she became a big sister to Vaché Thomassian. Sosé attended Ari Guiragos Minassian Armenian school in Orange County, where the foundation was set for her academics as well as her strong Armenian identity. She graduated from Woodbridge High School in 2000, and went on to earn degrees in Psychology and Sociology from UCLA in 2005. From her teen years Sosé was a leader in the Orange County “Ashod Yergat” chapter of the Armenian Youth Federation (AYF). She worked within the local community in all facets and also served on the AYF Western Region Central Executive. She first visited Armenia in 2007 with the AYF Youth Corps program and was immediately captivated by both the country and the program. In 2008 she took the helm of the Youth Corps committee and was the catalyst behind the program’s restructuring, growth and expansion. Her passion for AYF Youth Corps set the path for her eventual move to Armenia. Prior to moving to Armenia, Sosé worked as senior contracts and grant analyst at the Beckman Laser Institute and TEC Business Center at UC Irvine. 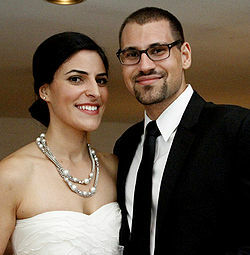 Sosé met her future husband Allen Yekikian at AYF Camp during the 2007 Annual AYF Convention. By September 2010 the two were engaged and began their life together. They were married on August 11, 2012 at Kecharis Monastery in Tsaghkadzor surrounded by close friends and family. In the beginning of 2013 Sosé & Allen repatriated to Armenia, embarking on a new chapter of their lives. Upon moving to Armenia, Sosé and Allen started a blog called HowtomakeitinArmenia.com. The purpose of the blog was to document their move and was "about life, liberty and the pursuit of happiness in Armenia." With this blog Sosé and Allen aimed at showing other Armenians "what it takes to not only move to Armenia, but to make it in Armenia." Sosé and Allen, along with their driver Ara Avetisyan were tragically killed as a result of a car accident on May 10, 2013 en route to Tbilisi from Yerevan. The driver of the bus that crashed into them faces charges of criminal negligence under Article 276 of Georgia's Criminal Code. Sosé & Allen's Legacy Foundation was set up in their memory to continue their vision by establishing programs and supporting existing programs aimed at bridging the gap between Armenia and its Diaspora, through an emphasis on education, repatriation, and volunteerism within the homeland. On September 10, 2013, coinciding with what would have been Sose Thomassian's birthday, the Foundation announced the establishment of a memorial forest in Armenia in honor of Sosé and Allen. The memorial forest campaign was launched in collaboration with Armenia Tree Project. The campaign will conclude on March 10, 2014, coinciding with Allen Yekikian's birthday. The organizations set an initial goal of planting 50,000 trees.